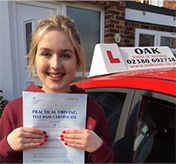 In order to start your driving lessons you must have a valid and signed driving licence which you must show your Instructor on the 1st lesson. To apply for a provisional licence you need to complete a D1 application form which you will find at any main post office. You will need to send your D1 application form, original documentation to confirm your identity, a passport style colour photograph, and the fee to DVLA, Swansea, SA99 1AD. Or you may prefer to use the Premium Checking Service available at selected post offices or DVLA local offices. Please allow 2 – 3 weeks for your licence to arrive. 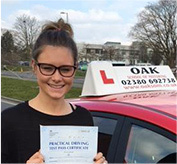 However, you do not need to wait until you receive your licence before you contact us to book lessons. 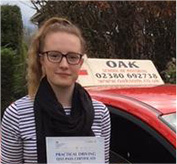 We will be happy to book your 1st lesson for 2 – 3 weeks ahead, and if you fail to receive the licence in time for your 1st lesson, we will simply cancel the lesson and rebook the lesson. If you hold a valid EU/EEC Community licence and are visiting GB, you can drive any vehicle if the full entitlement for that vehicle is shown on the licence. 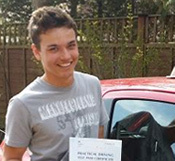 You must obtain a provisional GB licence and pass a driving test before the 12 month period elapses. 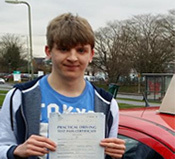 You will not be subject to the provisional licence conditions unless you fail to pass the test within the 12 month concessionary period, then the provisional licence conditions will apply.